A heartfelt affair. 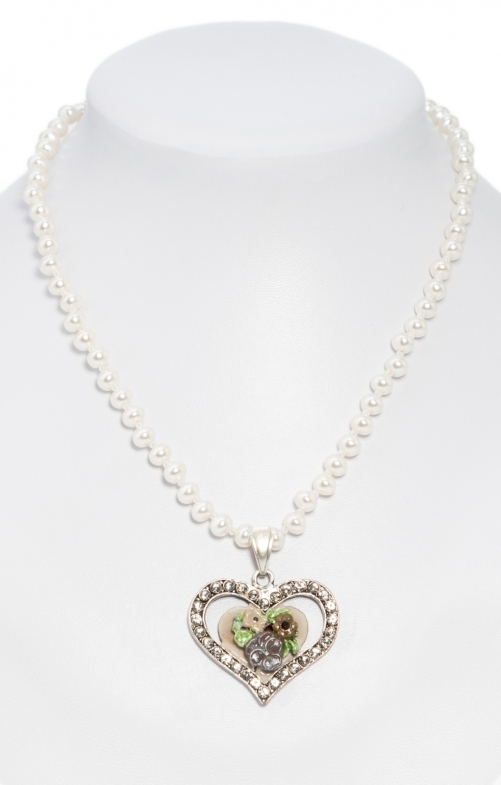 With this pearl necklace with painted heart pendant in taupe your neckline becomes an eye-catcher. Cream-coloured pearls are strung together in a beautiful necklace and are additionally set off by an elaborately crafted heart. Sparkling stones frame the artistically painted flowers inside the heart.